100 Doors of Revenge Level 35 Walkthrough is shown below with screenshots. The answer is explained in detail in the text. Look at the screenshots for more help. If you only want to look at part of the guide and not cheat, just look at part of the solution. 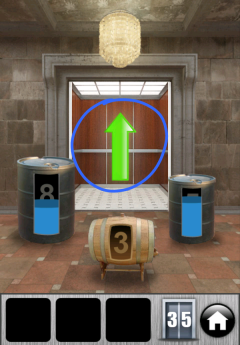 This will help you go to 100 Doors of Revenge Level 36. 1. 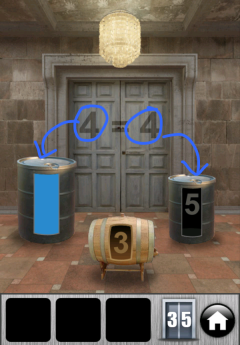 Make 4 in the big (8) barrel and 4 in the medium (5) barrel. 2. Proceed to 100 Doors of Revenge Level 36!